﻿ SOPHOS宣布併購 DarkBytes 加強提供 MDR 服務 | 最新消息 | 達友科技 Docutek Solutions,Inc. January 29, 2019 11:00 ET | Source: Sophos Ltd.
OXFORD, United Kingdom, Jan. 29, 2019 (GLOBE NEWSWIRE) -- Sophos (LSE: SOPH), a global leader in network and endpoint security, today announced that it has acquired endpoint security platform company, DarkBytes. DarkBytes offers a unified platform to deliver security operations center services to organizations of all sizes. Founded with the mission to deliver enterprise-grade endpoint security through lightweight sensors, asset inventorying, managed threat hunting, and automation technologies, DarkBytes launched their first products in March 2018 and have since been gaining traction in this competitive space. DarkBytes brings to Sophos a highly talented team with rich domain experience in managed detection and response (MDR) and Security Orchestration Automation Response (SOAR)​. MDR is a managed cybersecurity service designed to detect and respond to intrusions, malware, and malicious activity that often go undetected, enabling a faster response to eliminate and mitigate those threats​. MDR augments security capabilities by providing a continuous monitoring service through a trusted third party, delivered through the combined intelligence of automated response and human expertise. 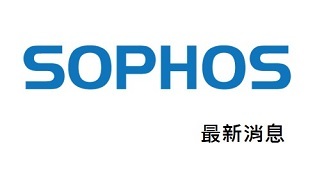 Sophos will provide further details as available. DarkBytes is transforming cyber-security for all organizations with the first Unified Endpoint Protection Platform designed to consolidate all critical security controls into a single lightweight agent.